Love that washi tape! The perfect touch against the pop of pink. Awesome card! I love how you lined up the washi. Thanks for playing along with us at CC&S! Jen this is so clever, and creative! 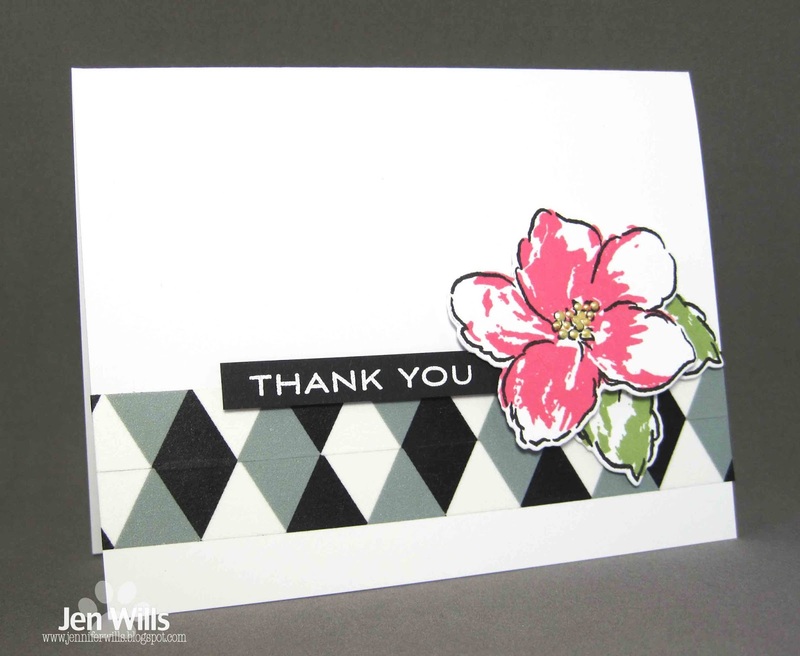 LOve that pink bloom with the graphic feel of the washi! The pop of pink from the bloom is wonderful! Pretty card Jen! Fabulous card and such a clever way to use that washi Jen! I love the use of the washi tape and that bright and pretty flower. Great take on the sketch! Thanks for sharing with us this week at CC&S! Lovely floral card, thanks for playing along with us at CC&S. Fabulous Jen! I love that you've pattern matched the washi and that pop of pink on crisp white is delightful! Thanks for sharing with us at Just Add Ink. Great combination of design styles, Jen. This is such an eye-catching card. This is fabulous! I love the way you've combined the graphic washi with the soft flower. Good on you for lining up the washi so well! Thanks for sharing with us at Just Add Ink. Ooh the harlequin design is such a perfect compliment to your pretty bloom!